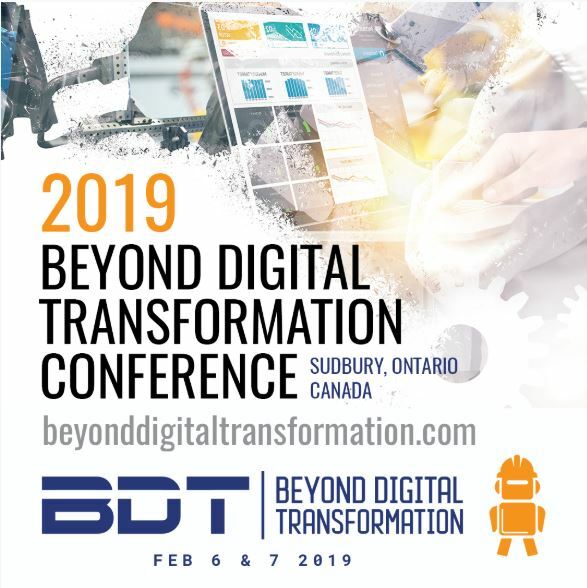 Sudbury, ON., – Partners in Achieving Change Excellence (PACE) in partnership with NORCAT are hosting the second annual Beyond Digital Transformation (BDT) conference in Sudbury on Feb. 6-7, 2019. BDT aims to help the mining sector understand and be part of the digital transformation in the mining industry. The conference will focus on the evolving mining landscape and how to work collaboratively with mining companies and their technology partners. To provide BDT attendees with hands-on experience of the new technologies PACE has partnered with NORCAT.